Mayor-President Kip Holden was reportedly planning to hold a news conference last week to announce the annexation of the Mall of Louisiana into the City of Baton Rouge, which some believe would have been a serious blow to the proposed City of St. George. The same report said that opposition from some members of the Metro Council might have derailed the plan, at least for the time being. At last week’s meeting of the Chamber of Commerce of East Baton Rouge, Business Report editor Stephanie Riegel asked St. George spokesman Lionel Rainey III what impact the loss of the Mall would have on the proposed city. “The proposed City of St. George is not based on having the Mall. if that happens, some expectations would be shifted,” he said. The proposed budget of St. George provides that the city would pay all of the costs of constitutional offices in the parish, such as the District Attorney and the 19th Judicial District, for a five-year period. However, the loss of the Mall could force St. George to reconsider that commitment, which was based on a financial model that included revenue from the Mall. Police protection at the Mall is provided by the Sheriff. If the Mall were annexed to the City of Baton Rouge, the city would have to provide police and fire protection. It may have to build a new fire station near the Mall and open a police precinct there. St. George chairman Norman Browning described a scenario with the Mall becoming part of the City of Baton Rouge, yet surrounded by residential areas in the City of St. George. He asked if it would be fair for the Mall to send its tax revenue to the City of Baton Rouge and provide no support to the city surrounding it. Actually, the Mall cannot be annexed unless it is contiguous to the City of Baton Rouge, which it is not currently. In order to be contiguous to Baton Rouge, the Metro Council would also have to annex the Baton Rouge General. Normally, annexations are handled by the Metro Council member who represents the area to be annexed. 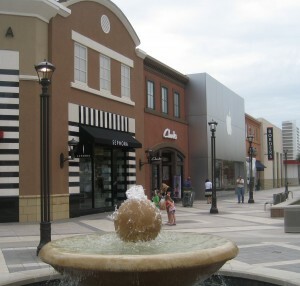 The Mall of Louisiana falls in the Metro Council district represented by the Ryan Heck. Heck told this newspaper that his general philosophy is that if a property owner adjacent to the city desires to be annexed, he will support that effort. However, in this particular case, Heck said he would also consider the impact on neighborhoods surrounding the Mall, in order to be sure that they would not be negatively impacted by such an annexation. In the past month, Heck has been very supportive of St. George and spoken critically about problems of governance in the City of Baton Rouge and the East Baton Rouge school system. During his speech to the Chamber EBR, Rainey was asked if Councilman John Delgado is on retainer to lead the opposition to St. George, a question which drew laughter.